These resin womens football trophies feature a figure of a female football player in action set on a bevelled base with engraving plaque. 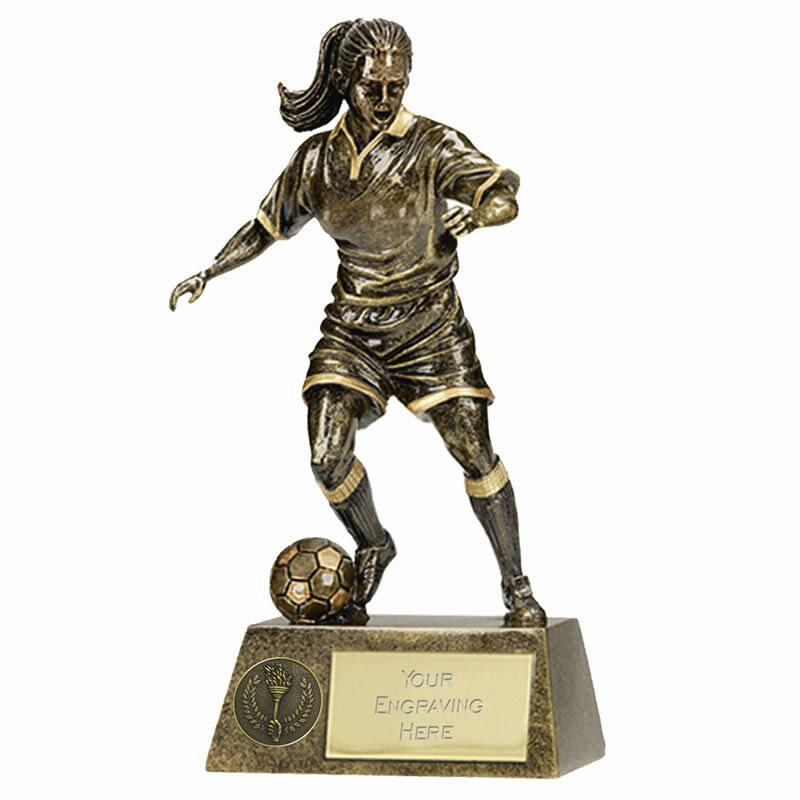 They are available in four size options, perfect for a range of budgets or for creating womens or girls football player awards at different age or achievement levels. Finished in a bronze and gold colour, offered with engraving options.